We are thrilled to welcome acceptIT as our new partner in Germany. acceptIT is an IBM Gold Business Partner specializing in collaboration solutions. They offer consulting, training and license management services and develop customized applications, especially for IBM Connections and for IBM Notes/Domino. acceptIT focusses on the improvement of business communication processes and workflows. acceptIT's Domino V10 Roadshow during the last month was a huge success. Over 80 customers joined the show in different places (Chemnitz, Hamburg, Ehningen, Frankfurt, Düsseldorf and Paderborn) all over Germany. Thank you Stefan already mentioning us throughout your trip! And the next event is already planned! Join acceptIT and Team Technology on December 13th, 2018 for a webinar to learn how to modernize IBM Domino applications in just 60 minutes. You still can register here: "Ihr Weg zur modernen und mobilen Notes/Domino Anwendung - mit teamWorkr!" (in German only). Come join acceptIT and Team Technology in this one hour webinar to learn about the challenges in application modernization. 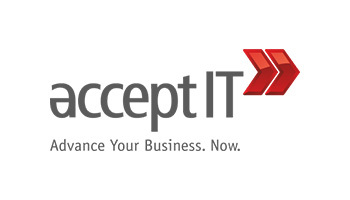 Find out more about acceptIT and their expertise. Trademarks: Microsoft, Windows, Surface Pro, Excel, Sharepoint, Word and Windows Explorer are trademarks or registered trademarks of Microsoft Corporation in the United States, other countries, or both. Lotus, Domino, Lotus Notes and Lotus Domino are trademarks or registered trademarks of International Business Machines (IBM) Corporation in the United States, other countries, or both. iOS is a trademark or registered trademark of Cisco System Inc. in the United States, other countries, or both used under licence of Apple Inc. Android is a trademark or registered trademark of Google Inc. in the United States, other countries, or both.